One of the reasons I fell in love with this craft is the ability to make cute and inexpensive items that are also practical. These little goodies make great gifts for anyone and the wonderful thing is you can decorate them to match any room or office. If you have any questions, you know where to find me! I am still going to keep my original wedding album - it is a sign of the times but it is not so purty according to current standards. LOL I realize that in 15 more years I will probably think the same thing of these layouts. Oh well. Just an excuse to keep scrappin'! About a month ago someone starter a Pay It Forward chain on Facebook and I decided to join. The first five people to reply to my post were added to a mail list for something hand-created. 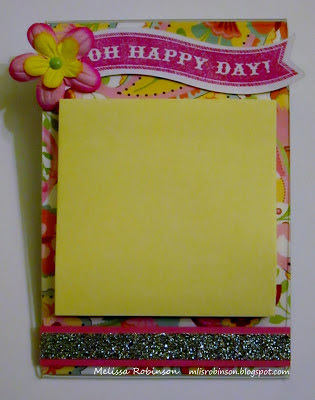 It took me a little bit of time to decide what I wanted to make and this is what I rested on - a Matchbook sticky note holder and a 3 x 3 card. The Matchbooks are so easy to make and yet, so practical. I did not come up with the pattern by myself. I made these quite a few months ago from a website or blog and I cannot seem to find it. But it was not my original creation. If you want cutting and scoring directions, just let me know. 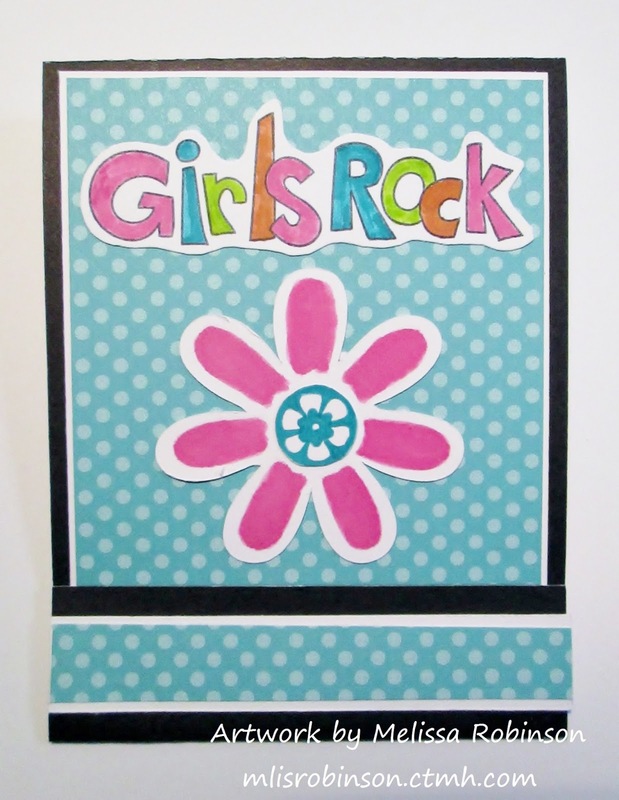 I used our retired "Dotty for You" polkadot paper pattern and the CUTE "Girls Rock" stamp set. I thought it was fun and fitting for the recipients. 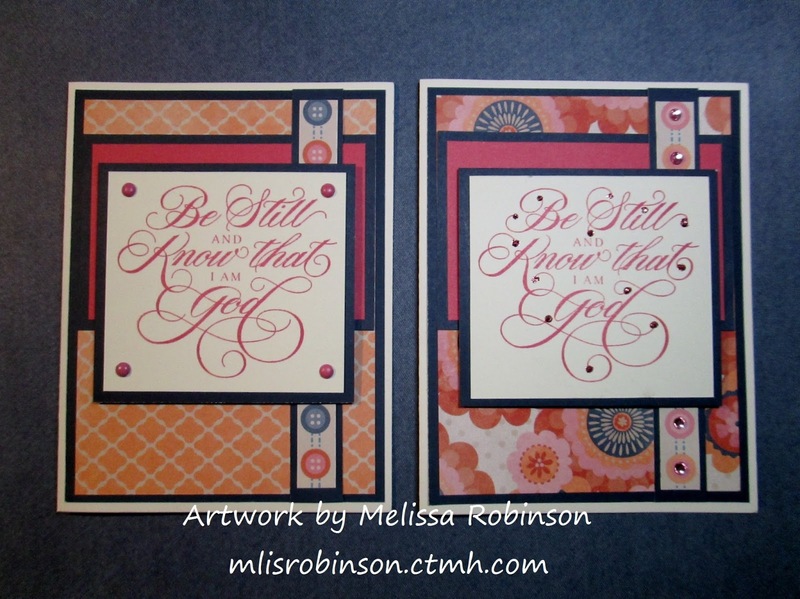 I enjoyed making these for some great friends: Lydia, Sundi, Tawnya, Lulu and Jennifer. I love sending fun mail and hope they enjoyed receiving them. Here's to a fun, LONG, and enjoyable weekend! I pray you are having a great day! 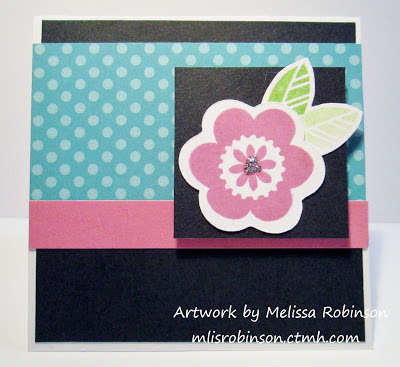 It has been awhile since I have participated in a blog hop but I am thrilled to be back! 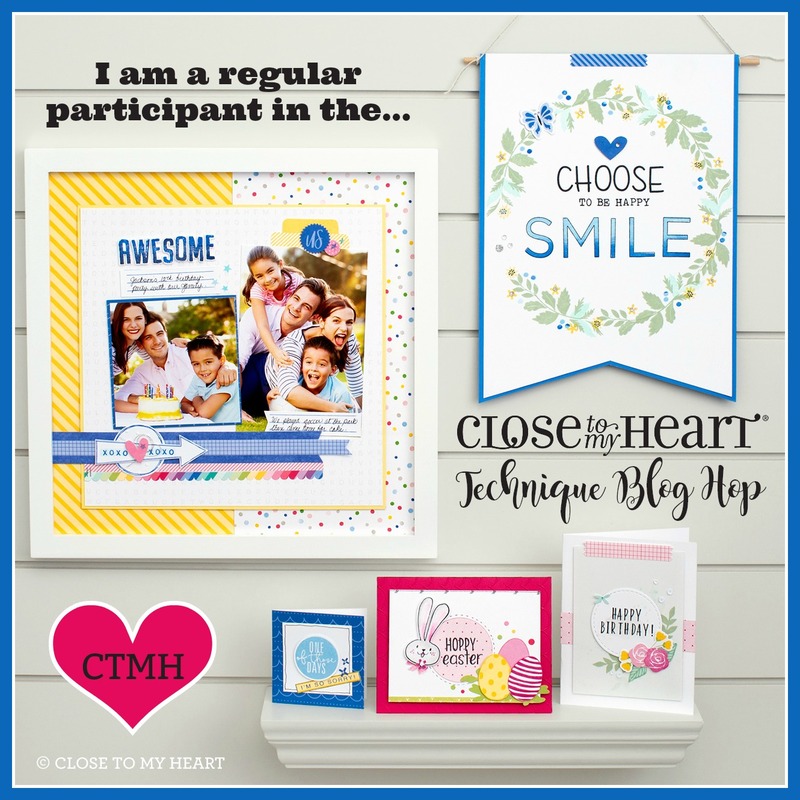 I am lovin' these new Close To My Heart products and after you view our artwork, I am sure you will love them too! 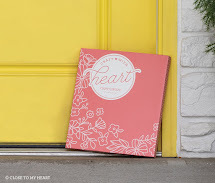 This blog hop is one big circle. If you are coming from Traci's Blog you are on the right track. You can elect to start at Helen's Blog where you can find a list of all participants or you can continue to make your way through my blog post. One of the things I love most about this paper packet is its versatility. I used our "For Always" coordinating "Stickease" with a Ruby (red) twist. 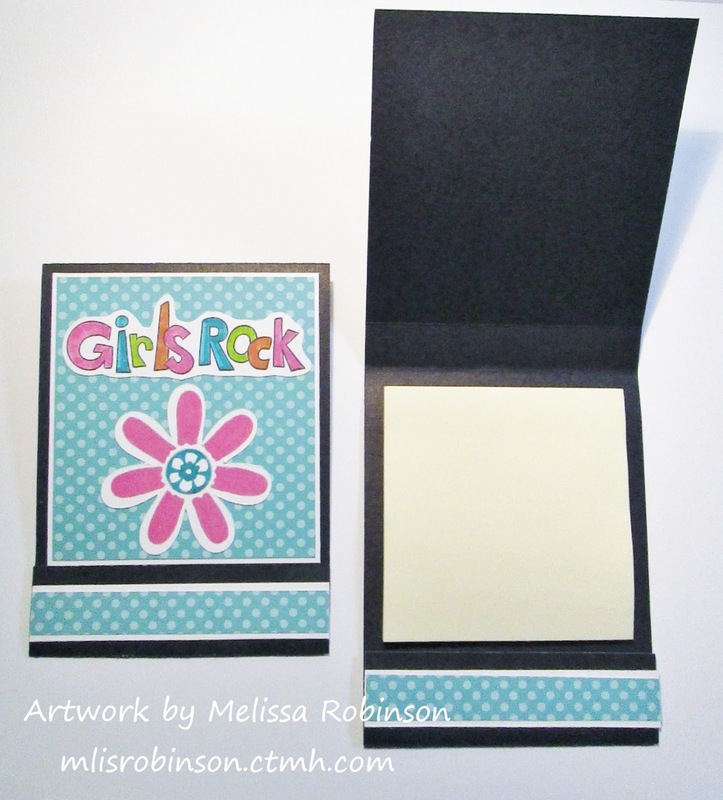 The possibilities are endless with this paper packet! 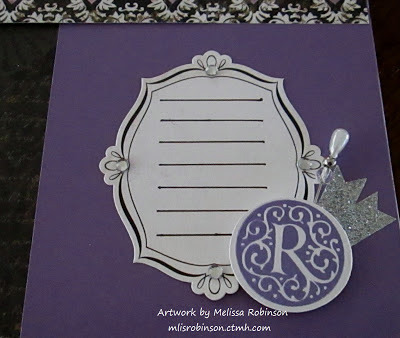 Stop by to see Sunday's post and view how I used it with Gypsy (purple) - which was my wedding color. I have not put photos on my layout yet because I am in the process of getting my wedding photo negatives transferred to a CD for digital prints. I kept all of my wedding photos in the 4x6 size, not wanting to mess them up. I am thankful that I will be able to print the photos as many times as I want. However, I recently moved to a little town where the Wal-Mart does not develop photos! Can you believe that? 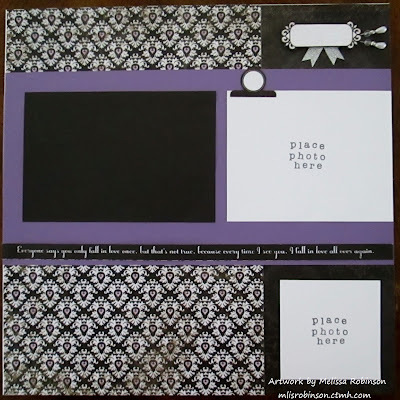 When I do put photos on the layout, I will be sure to post an update. Thanks for stopping by. Please let me know what you think of my artwork and feel free to move onto Priscilla's Blog or continue reading below for a supply list. Enjoy the rest of the hop! 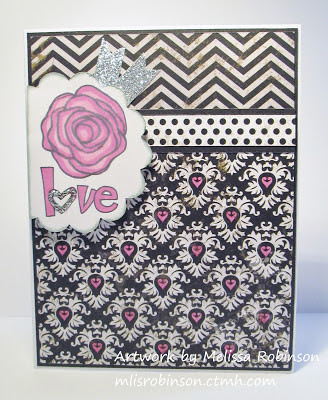 Check out another piece of artwork I created with a twist on this paper packet by clicking here. I have been enjoying several days/evenings of creativity. It sure feels good to be back in the swing of things and with beautiful new products from Close To My Heart, the opportunity is that much more enjoyable. Plus, it helps that it is chilly and extremely windy outside. Isn't that a great excuse to stay inside and papercraft? I had a little help from Freshly Made Sketches. While I have seen people use sketches as a starting point for their artwork, I had never checked them out until now. I used this Sketch, #72 - by Cindy, to get my creative juices flowing and love my final result. It was fun "blinging" up the focal point a bit. "Hi, I'm Melissa and I'm addicted to our Silver Shimmer Trim." LOL I think I used it on all of my projects made yesterday. 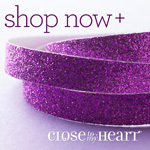 And I had fun using our Glitz Glitter Gel to blink up the heart on love. The polka dot strip is one of the Zip Strips included on our B&T paper. Cool, right? Thanks for stopping by to check out my artwork. Feel fee to leave a comment and let me know what you think. I would also love for you to subscribe to my blog so you can get an email each day I make a post. You can see the sign-up area on the right. I have provided a supply list below. Digital Layouts - ON SALE THIS MONTH! 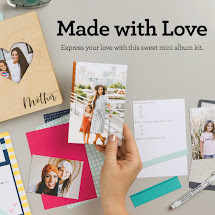 When the company announced "digital" scrapbooking a few years ago I thought, "Never! Not me!" However, I now have a new-found love for it but still enjoy getting my hands inky while creating "traditional" layouts. Beside, who says you have to choose?! Our Studio J online program is simply fabulous! 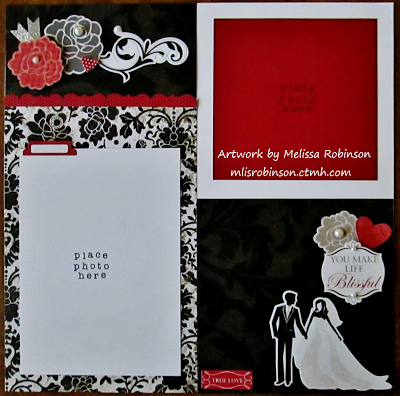 I continue to learn fun ways to edit and embellish my layouts with it. You can keep things simple or learn more advanced techniques to keep you interested. And the quality of the printed layouts are top-notch. 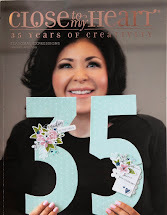 In fact, this month the layout are just $5 - just $2.50 a page! Who can design hand-made layouts for that price? Find all the details here! If you have never tried Studio J, this month is a perfect time to do so. In fact, you can create a layout for FREE and never have to purchase a thing! Give it a try and see what you think. I am just a phone call or email away if you have any questions. Try it. You just might like it. By the way... Remember I said you didn't have to choose? You don't! Check out this article as shared with us by Close to My Heart. 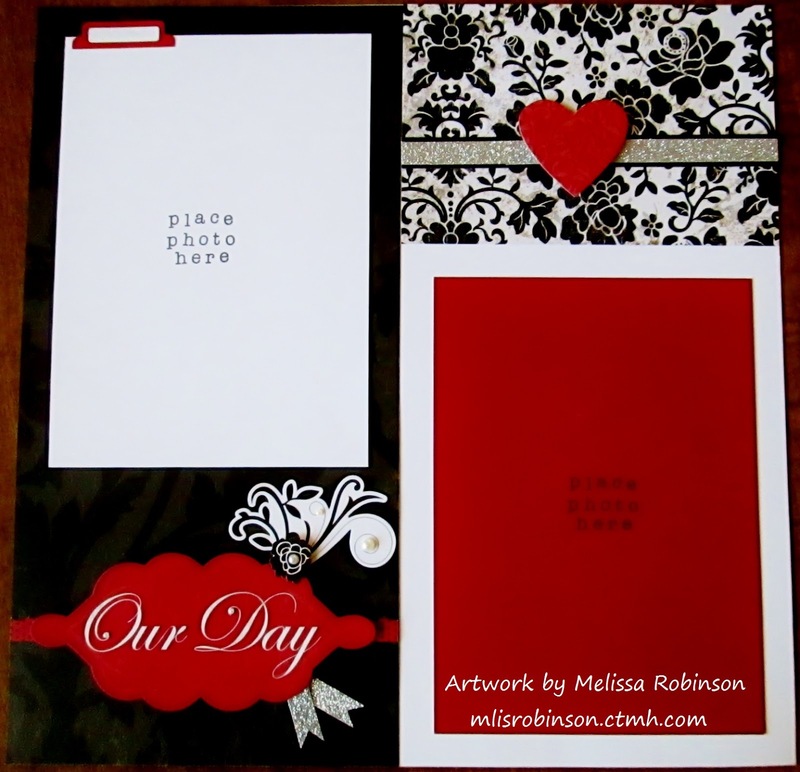 You can get a layout printed through Studio J and then embellish to your heart's desire! Too fun, right? 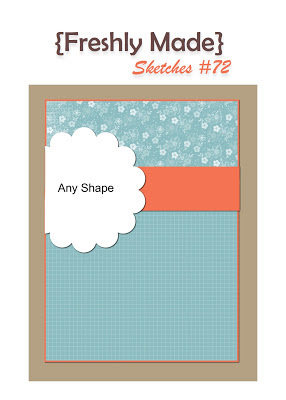 Wanna really make your Studio J layouts shine? 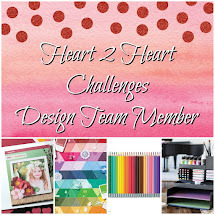 Do as Close To My Heart Consultant Krista Ritskes from Oshawa, Ontario, has done: create an embellished studio layout by adding Liquid Glass. 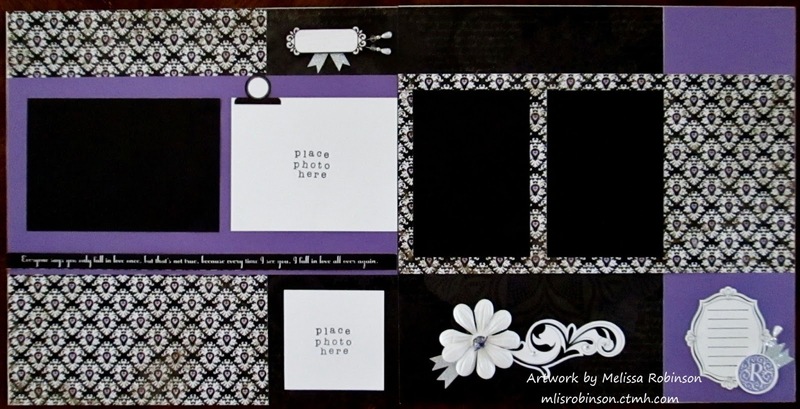 Krista's "Good Water" layout was perfect for creating a hybrid Studio J layout with this super shiny, clear embellishment. Krista dressed up her title by painting over the title words with Liquid Glass. It adds dimension and texture to the flat page plus the real look of water, which perfectly reinforces her theme. And look how fun these water droplets are—each made from Liquid Glass! This technique would be great on layouts featuring any water theme: ocean, beach, river, lake, water fight, rainy day, etc. You can also use Liquid Glass to create dew droplets on flowers, or add it anywhere you want to draw the eye with a bit of shine. Just be sure to give your Liquid Glass plenty of time to dry. Try creating a hybrid, or embellished, studio layout—produced on the computer but dressed up with real accessories. It combines the best of both the online and classic scrapbooking worlds and gives your layouts added dimension and pop! To play with Studio J for yourself, sign up for a FREE account - no payment until you decide to print - by clicking here. I will be sharing Studio J videos and ideas through here from time to time so watch my blog. 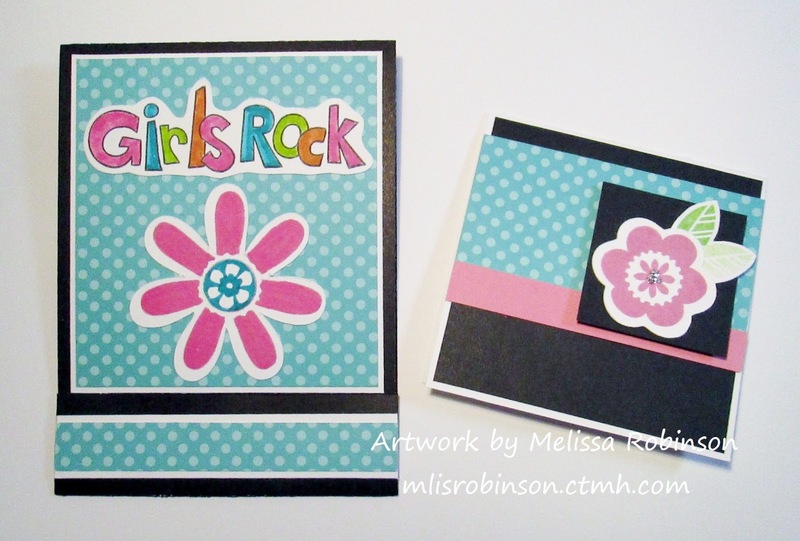 I am thrilled to host an Open House in my new area (T or C, NM) this Saturday and created this fun card as the Create 'n Take. Everyone who attends my event will have the opportunity to make one of these cute cards and give it to their special someone. 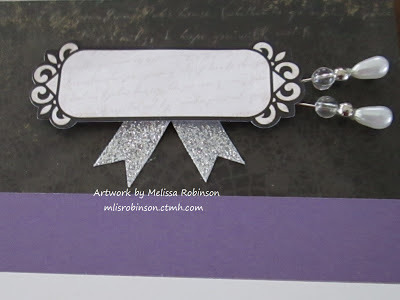 I used the new Chantilly paper packet (probably my favorite), the December Stamp of the Month (no longer available), and a cute Frames stamp set. 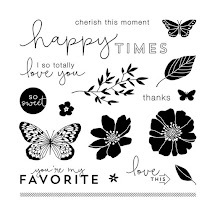 The Perfect Fit - Frames stamp set is absolutely adorable! In fact, we had one of the stamp sets available in the previous catalog and now have a new one in this Idea Book. If you look carefully through both Idea Books, you will see them used in quite a bit of artwork so I just had to get them both! If you notice the fine line around each image... That means there is a coordinating die-cut image on our exclusive Cricut Cartridges. The numbers on the carrier sheet (what the stamps come on) indicate what page you can find the image in the resource book as well as the size the image needs to be cut. 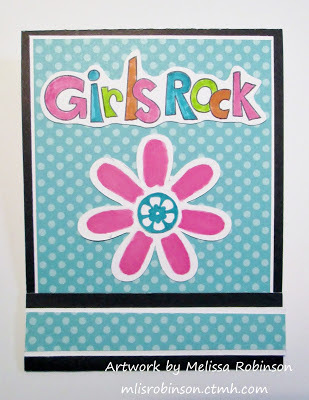 Cut the image with your Cricut, ink up your image and stamp as desired. You end up with a thin border around the image. Scroll back up and check it out! Cute, huh?! If you live in the area, contact me for further information regarding the Open House. 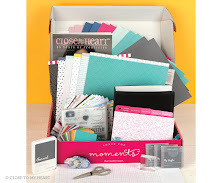 Gotta love how our products work so well together to make papercrafting Faster, Simpler, and Easier! 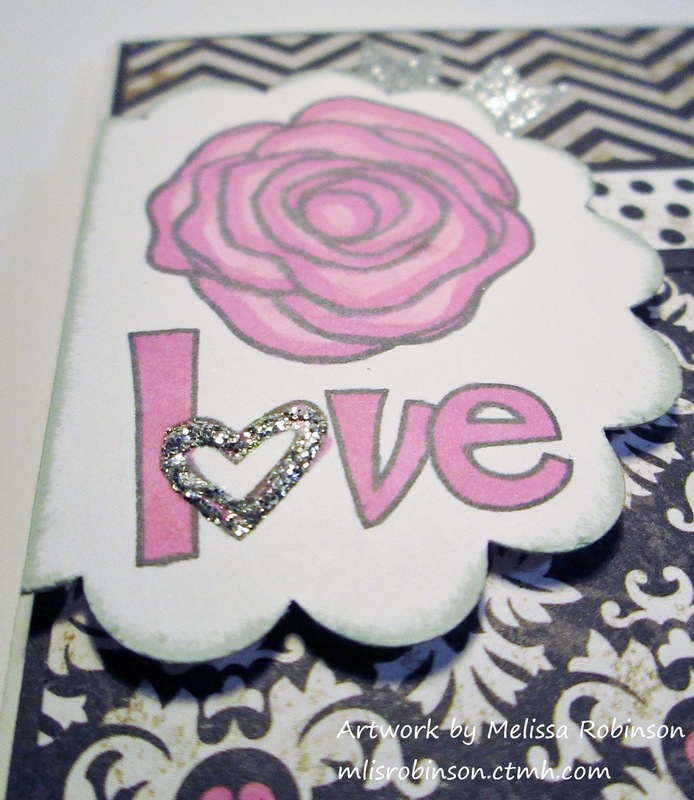 I was thrilled to see this stamp image available in the New Idea Book. 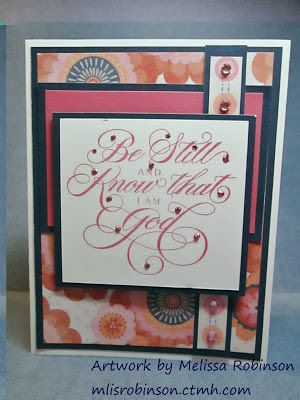 This scripture, "Be still and know that I am God" is one of my favorites. 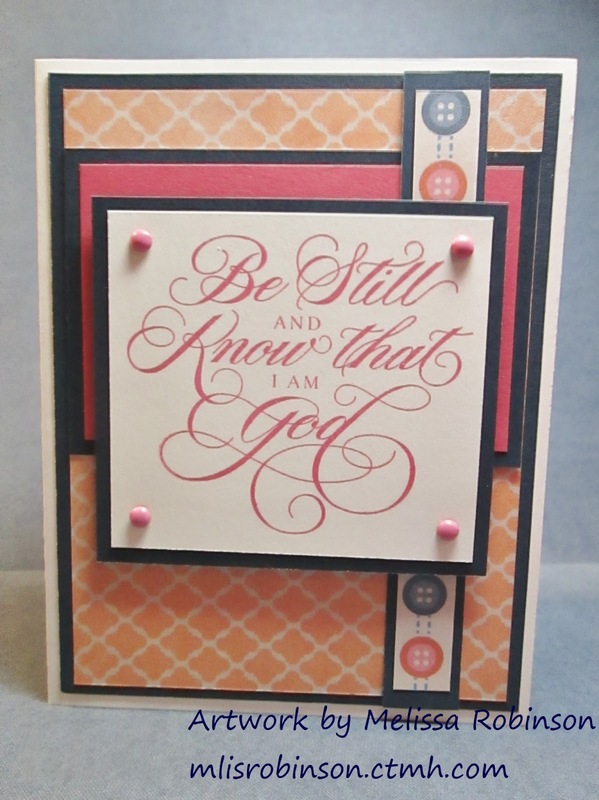 It is part of Psalm 46:10. One of the things I am thankful for, in my deepened relationship with the Lord, is knowing that He's "got my back". He is truly the only one you can truly trust and I find complete comfort in knowing that. I had fun creating these cards for some friends who have recently experienced the passing of their loved ones. Nobody can provide comfort during such difficult times like our Father. Both cards were created using our NEW Claire paper packet. It has some fun patterns in the paper packet. In fact, both were made using our "Make It From Your Heart" publication and I just made some minor adjustments. 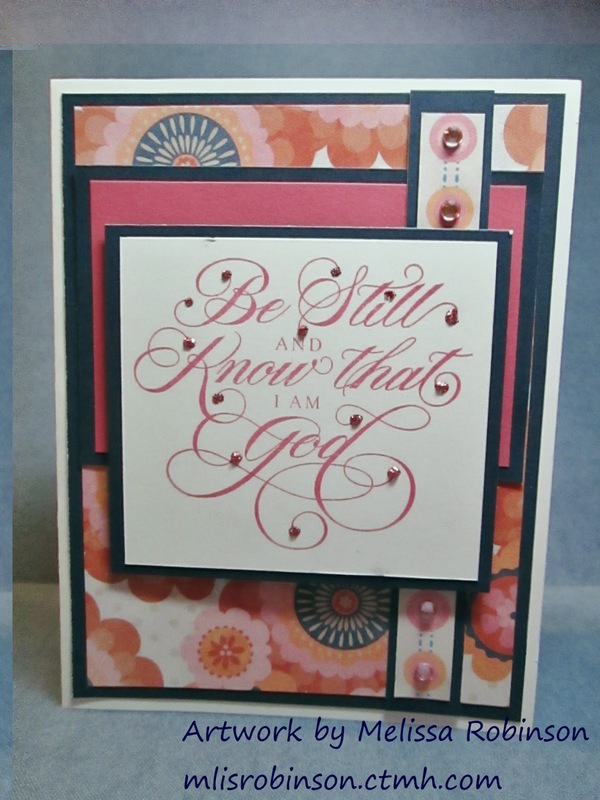 The main patterned paper I used was simply reversed on the two cards. That is one of the fun qualities of our paper. 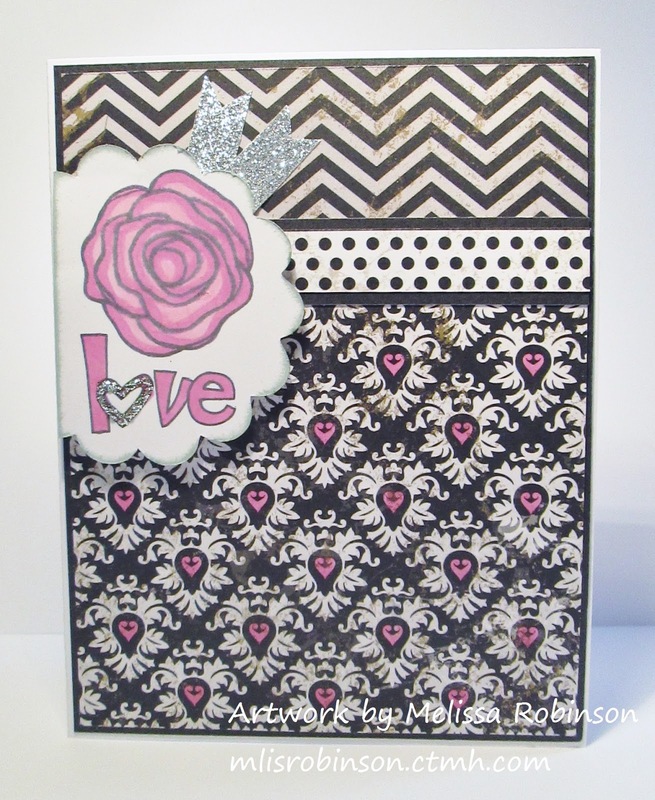 I only added Hollyhock brads on the left card and on the right card...I chose to bling it up a bit. 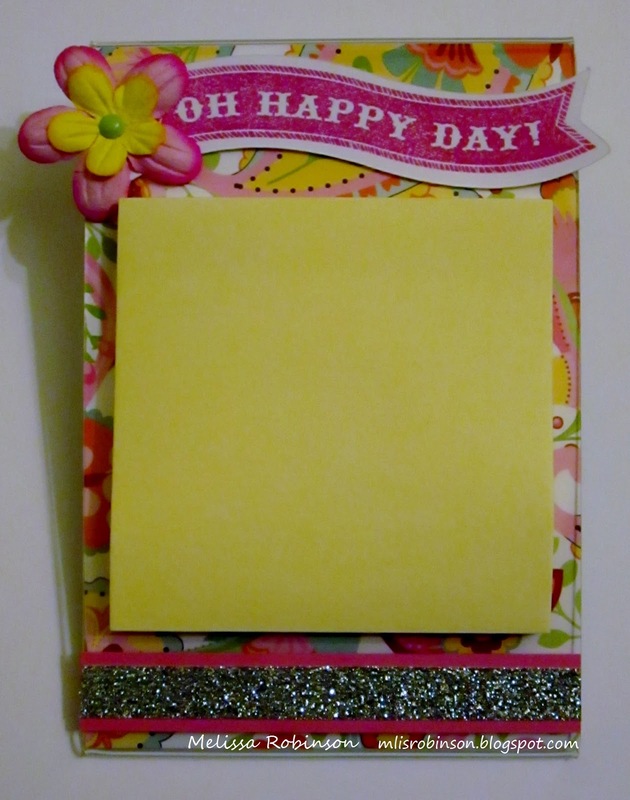 I used our Pink Glitz Glitter Gel to put some "sparkle" on the wording and used light pink Sparkles to bling up the Zip Strip buttons. With just a few simple changes, the cards take on a different look. I hope these are enjoyed by the persons who receive them and that you experience some creative inspiration.